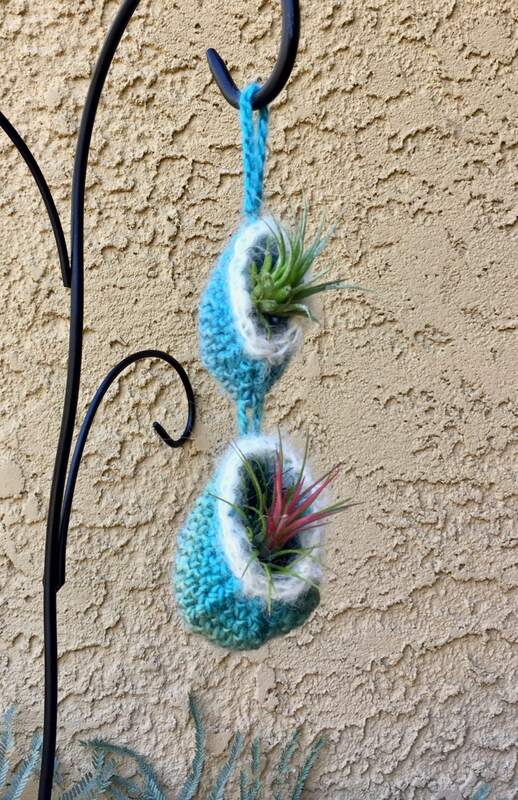 Air plants (genus Tillandsia) are very popular and with good reason. With over 600 species, these evergreen perennials are easy to care for and whimsical in appearance. 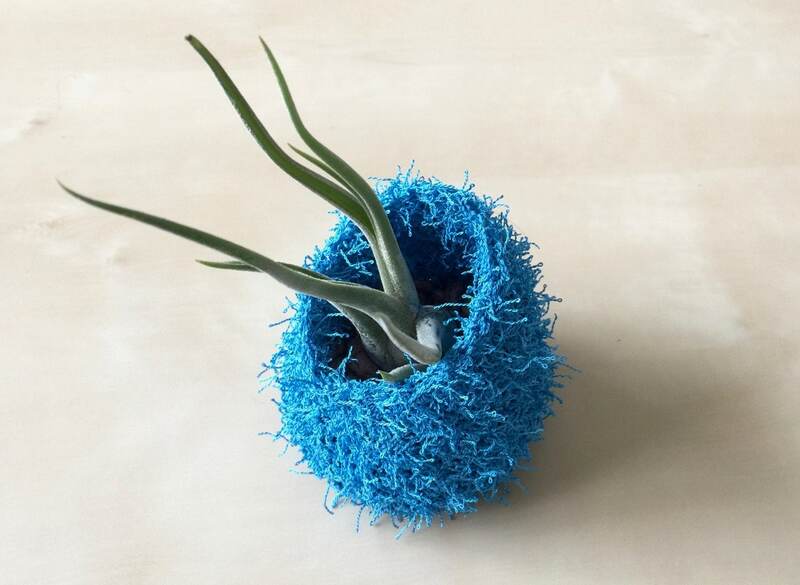 Crocheted Vessels Collection #2 creates oval shaped planters in three sizes. 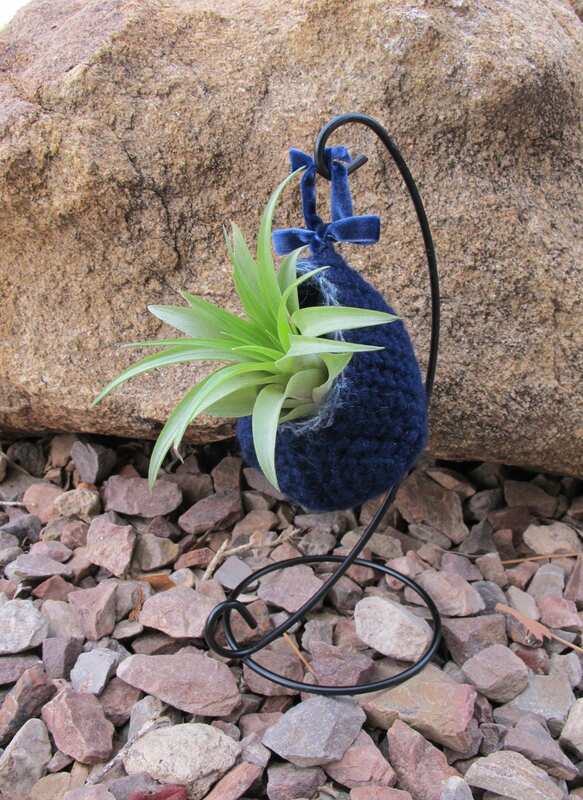 They can stand on their own, rest on their side like the one pictured above, or hang on a display stand. 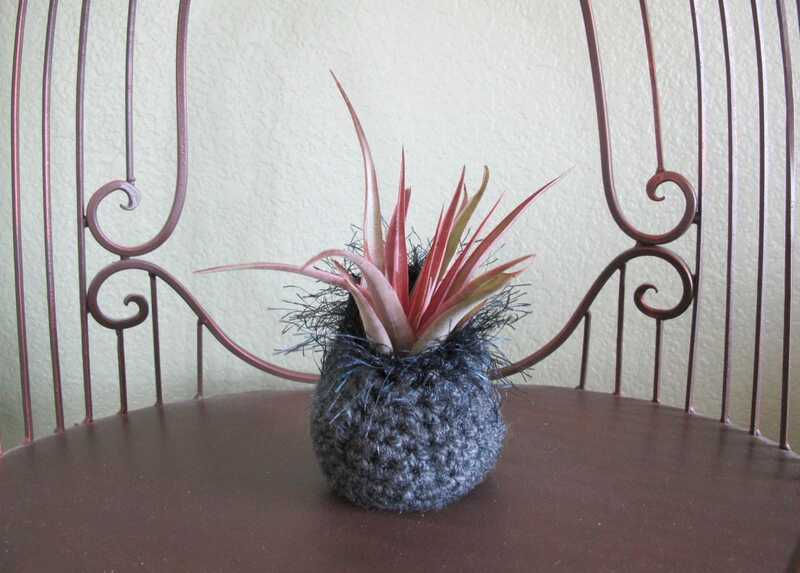 Yarn - light to medium worsted weight yarn. 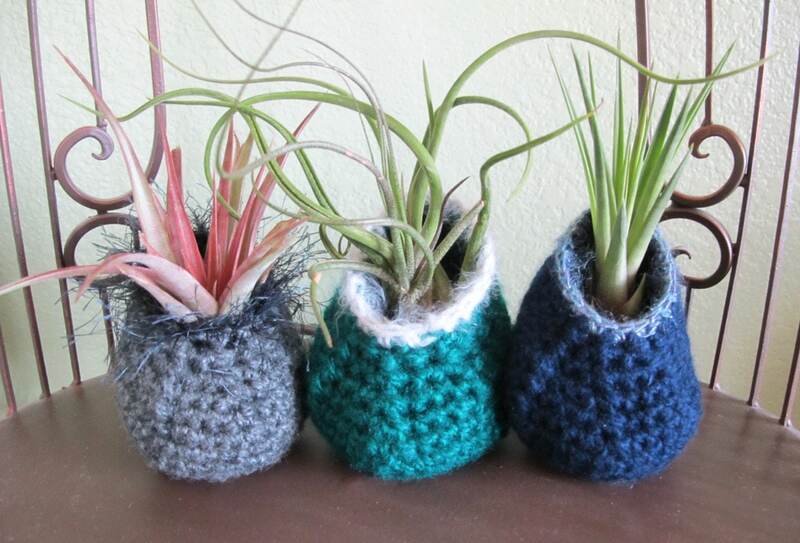 These little vases look cute made up in variegated yarns. 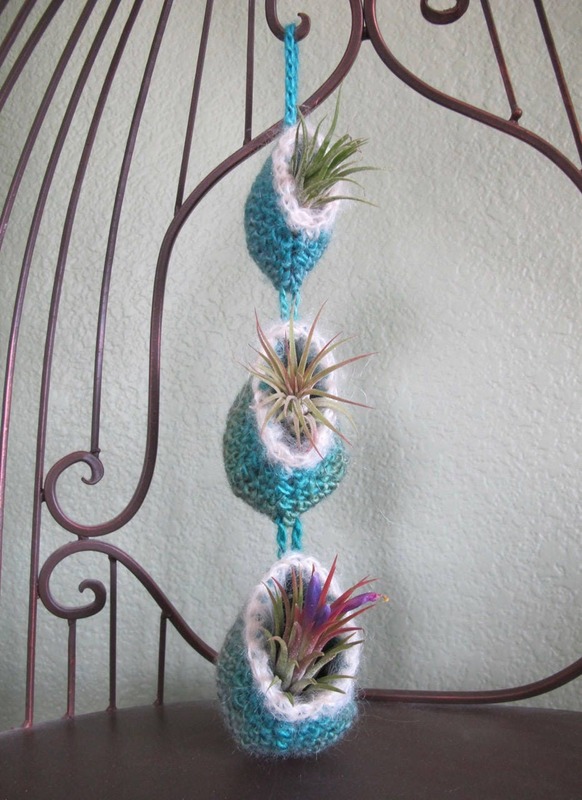 This pattern is a great way to utilize short skeins or to showcase your handspun yarn. 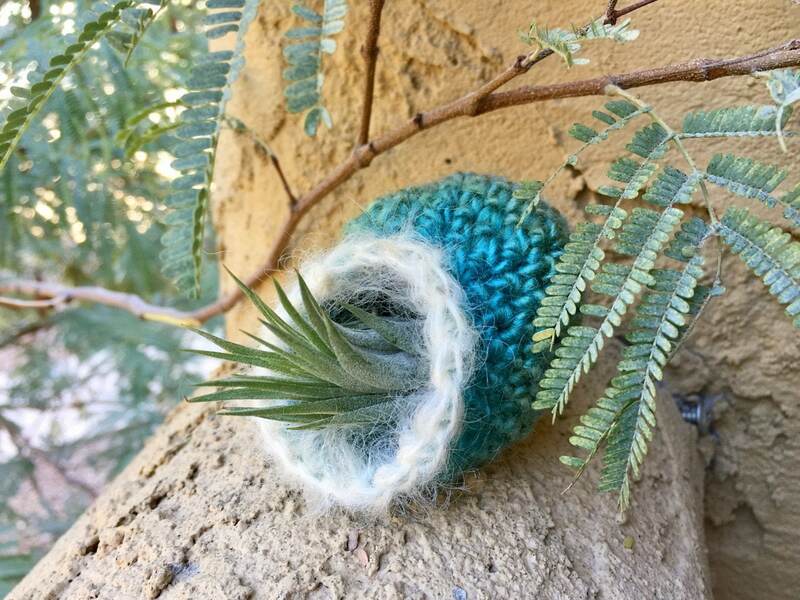 I love adding texture with novelty yarns. This pattern is copyrighted and for your personal use only. 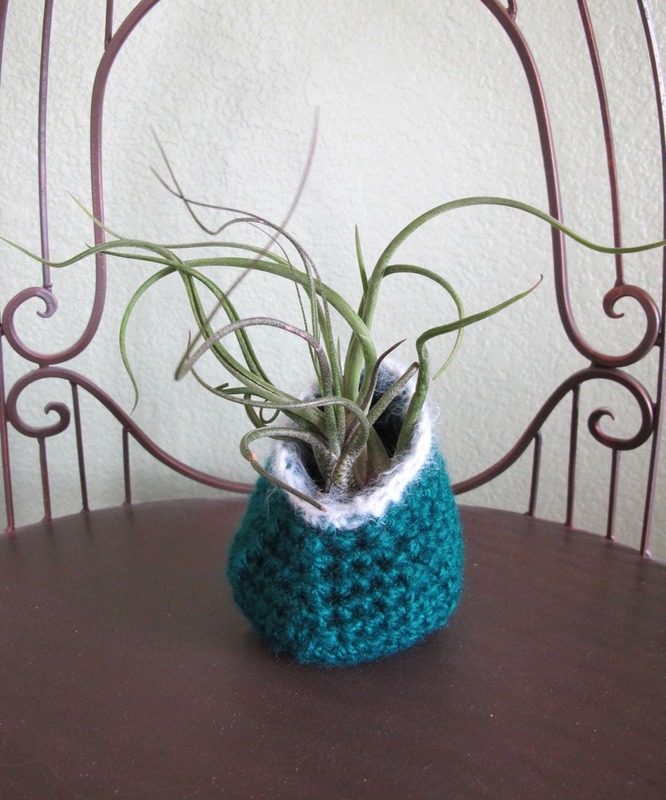 The Air Plant Pots Collection #2 may be made and given as a gift, but the pattern may not be reproduced for use by others.